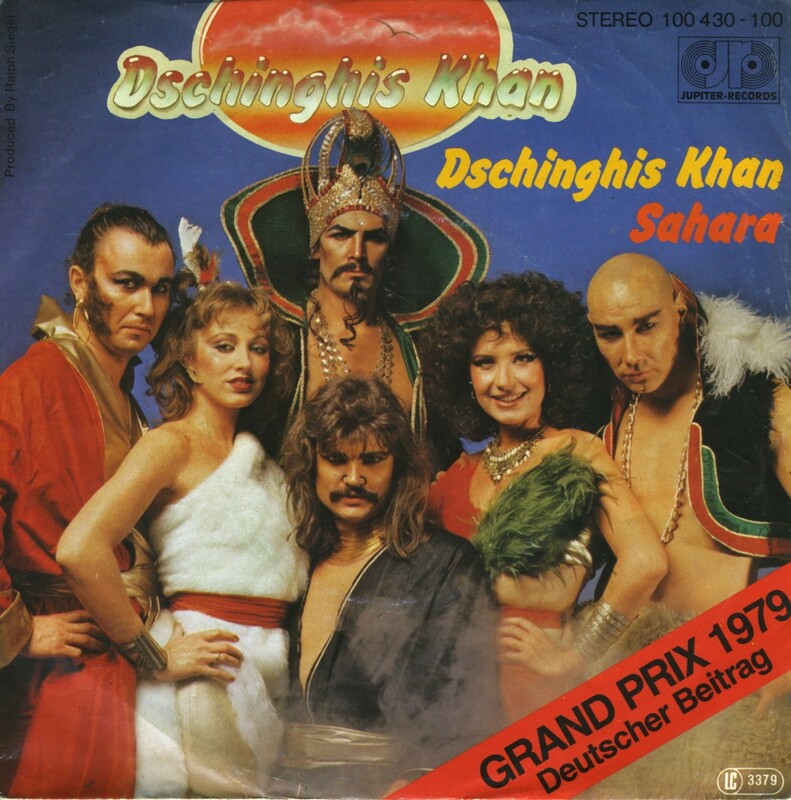 Such was the success of the song 'Dschinghis Khan' at the 1979 Eurovision Song Contest, that the German band decided to also record an English version of their song. 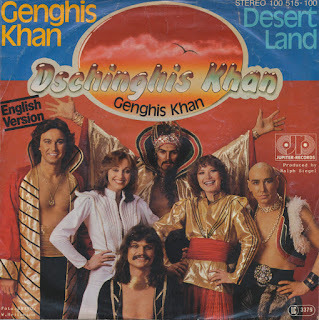 'Genghis Khan' was released in Germany - as this German pressing proves - but there were also singles made in the UK, Italy, France, Spain and, yes, even Australia and Brazil. Whether the track was a hit in any of these territories, I don't know. I am however glad to have found a copy of this single, because the English lyrics betray even more clearly what the song is about. Germany thought it was a good idea to send in a song about a cruel warrior when the 1979 Eurovision Song Contest was organised in Jerusalem. Obviously, this spelled controversy, but the band Dschinghis Khan with the song of the same name still got away with it. The song was written by Ralph Siegel and Bernd Meinunger, in praise of the Mongol warrior, describing his military and sexual escapades. The song finished fourth during the Contest and also became a hit in German speaking countries.